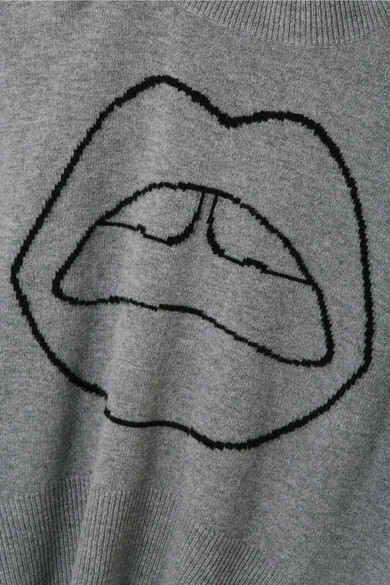 We've seen Markus Lupfer's signature lips played out in sequins, prints and embroidery, but for Spring '19 it takes the form of an intarsia on this sweater. 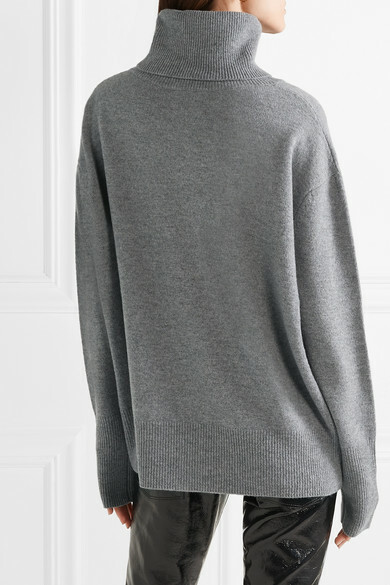 Knitted in Italy from light-gray wool, this oversized piece has dropped shoulders and a cozy turtleneck. Wear it half-tucked into your favorite jeans. Shown here with: RtA Pants, Wandler Shoulder bag, GANNI Sneakers.